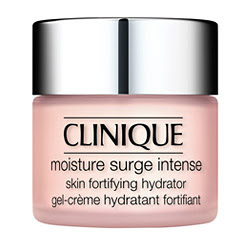 I have never used Clinique as I feel that its makeup range has not got much to benefit women of colour, however, their skin care which I believe they are best well known for is perfect for anyone. Aiming at all skin types, complexions and tones, Clinique caters for all. I was giving a generous amount of this new moisturising serum as a sample I have now used it for about 2 weeks. It has a rich oil-free cream which is to enable dry skin to stay moist throughout the day. I personally have dry combination skin- mainly drier in the winter, so this product was great for me. I love the light feel of the cream, and also loved the fact that although it is a Hydrator for dry skin, it did not actually make my dry skin eventually feel oily, in fact it rather balanced out my skin texture which is what I was aiming for. The sample size I was given was 15 mls which sounds tiny but a little bit of the product goes a long way and I still have a lot left over! The actual product is £30 which is VERY expensive and contains 50 mls of product. Bare in mind also I only used the cream on my face as I am content with my BodyShop Coconut cream for dry skin for my body. This product is for all over not just the face so perhaps the quantity may not be enough for what you are paying for. It done a great job, my skin has stayed hydrated, BUT- 30 quid for cream? I think I will pass! But for all those big spenders out there- follow the link and perhaps buy if you are interested! Thanks for e review btw is ur skin sensitive and does e moisturiser contain fragrance?